Aims: Guidelines recommend mild therapeutic hypothermia (MTH) for survivors of out-of-hospital cardiac arrest (OHCA). However, there is little literature demonstrating a survival benefit. We performed a meta-analysis of randomized controlled trials (RCTs) assessing the efficacy of MTH in patients successfully resuscitated from OHCA. Materials and Methods: Electronic databases were searched for RCT involving MTH in survivors of OHCA, and the results were put through a meta-analysis. The primary endpoint was all-cause mortality, and the secondary endpoint was favorable neurological function. Odds ratios (ORs) and 95% confidence intervals (CIs) were computed using the Mantel-Haenszel method. A fixed-effect model was used and, if heterogeneity (I2 ) was >40, effects were analyzed using a random model. 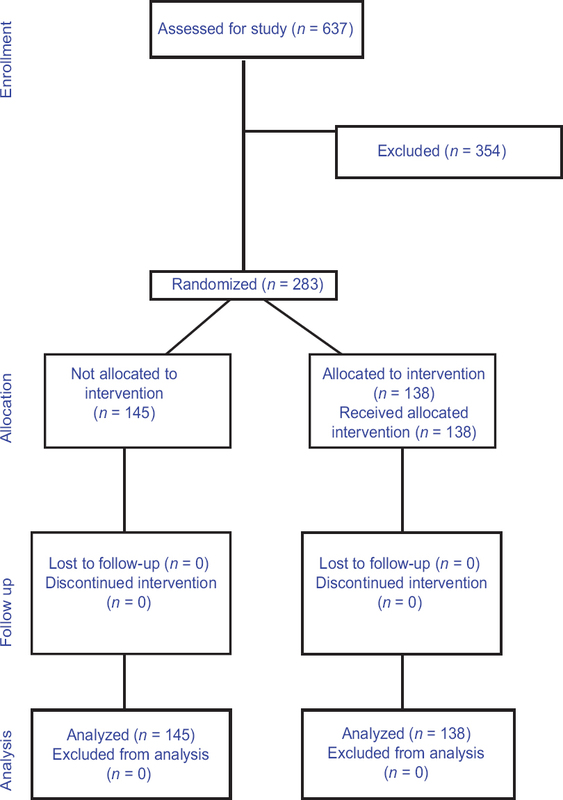 Results: Six RCT (n = 1400 patients) were included. Overall survival was 50.7%, and favorable neurological recovery was 45.5%. Pooled data demonstrated no significant all-cause mortality (OR, 0.81; 95% CI 0.55-1.21) or neurological recovery (OR, 0.77; 95% CI 0.47-1.24). 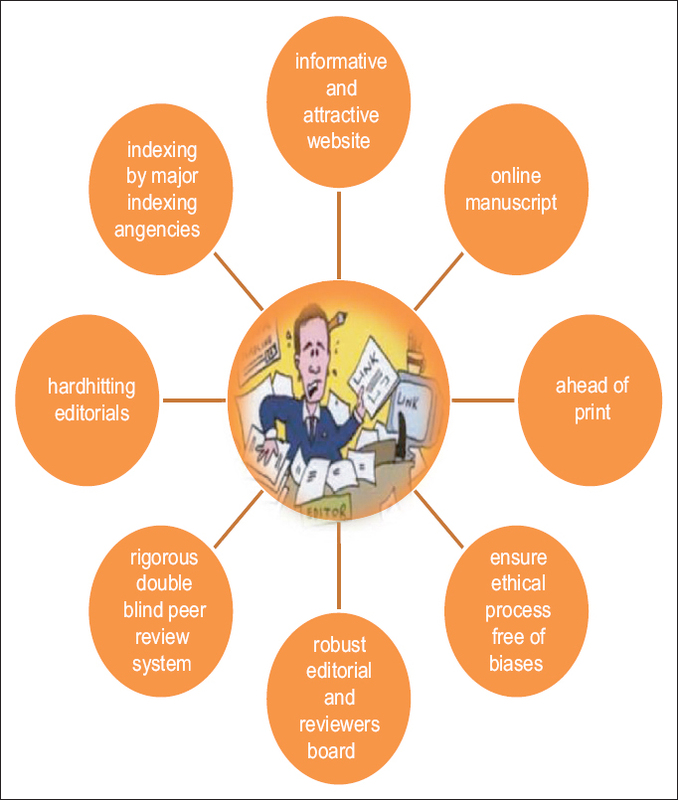 No evidence of publication bias was observed. 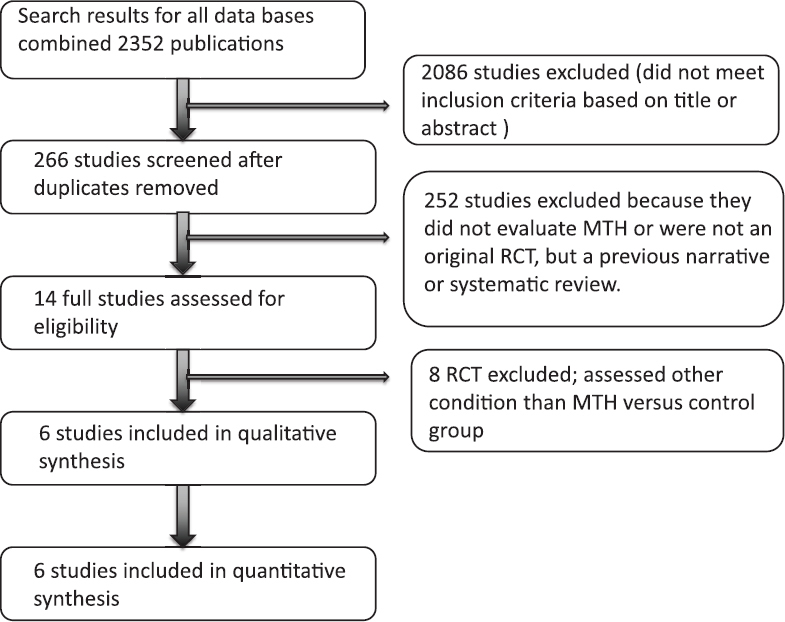 Conclusion: This meta-analysis demonstrated that MTH did not confer benefit on overall survival rate and neurological recovery in patients resuscitated from OHCA. 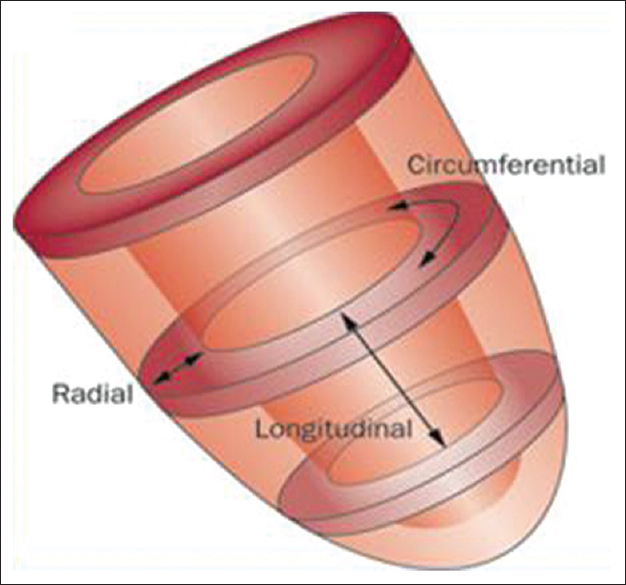 Objectives: Contrary to the rest of the mitral annulus, inter-trigonal distance is known to be relatively less dynamic during the cardiac cycle. Therefore, intertrigonal distance is considered a suitable benchmark for annuloplasty ring sizing during mitral valve (MV) surgery. The entire mitral annulus dilates and flattens in patients with ischemic mitral regurgitation (IMR). It is assumed that the fibrous trigone of the heart and the intertrigonal distance does not dilate. In this study, we sought to demonstrate the changes in mitral annular geometry in patients with IMR and specifically analyze the changes in intertrigonal distance during the cardiac cycle. Methods: Intraoperative three-dimensional transesophageal echocardiographic data obtained from 26 patients with normal MVs undergoing nonvalvular cardiac surgery and 36 patients with IMR undergoing valve repair were dynamically analyzed using Philips Qlab ® software. Results: Overall, regurgitant valves were larger in area and less dynamic than normal valves. Both normal and regurgitant groups displayed a significant change in annular area (AA) during the cardiac cycle (P < 0.01 and P < 0.05, respectively). 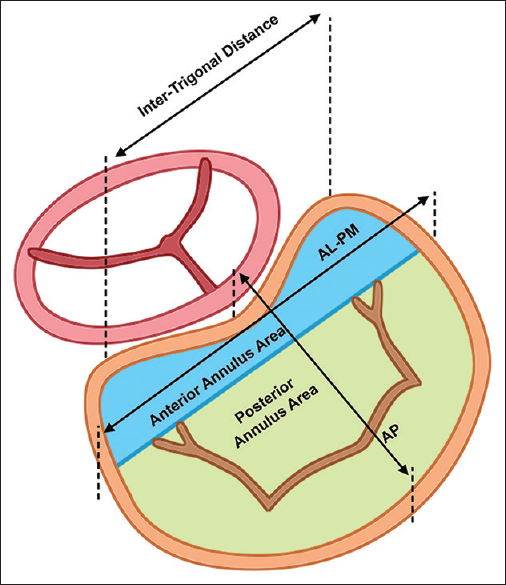 Anteroposterior and anterolateral-posteromedial diameters and inter-trigonal distance increased through systole (P < 0.05 for all) in accordance with the AAs in both groups. However, inter-trigonal distance showed the least percentage change across the cardiac cycle and its reduced dynamism was validated in both cohorts (P > 0.05). Conclusions: Annular dimensions in regurgitant valves are dynamic and can be measured feasibly and accurately using echocardiography. The echocardiographically identified inter-trigonal distance does not change significantly during the cardiac cycle. Introduction: Nowadays, assessment of brain oxygen saturation, which is simply appliable and noninvasive method, can provide the anesthesia plans to be optimized according to the needs of the brain, which is the main target organ. Brain may be exposed to hypoxia due to supply-demand imbalance of oxygen not only in general anesthesia procedures but also in sedation practices. The aim of the study is to compare the effects of dexmedetomidine and propofol which are widely used agents for pediatric catheterization procedures on brain oxygen saturation using Fore-Sight. Material and Methods: A total of 44 patients undergoing diagnostic cardiac catheterization between 1 and 18 years old were included in the study. All patients, who were randomly divided into two groups, had ASA physical status I-II. In Group Propofol (Group P, n = 22),induction of sedation was made by midazolam (0.5 mg,iv) + propofol (1m/kg,iv), and in Group Dexmedetomidine (Group D, n = 22), induction of sedation was made by midazolam (0.5 mg,iv) +dexmedetomidine (1mcg/kg, iv). Throughout the sedation, cerebral tissue oxygen saturation (SctO 2 ) was recorded by Fore-Sight in addition to routine monitoring. Results: There were no statistically significant differences between the groups in terms of demographic data, hemodynamic data and sedation scores. On other hand, statistically significant decreases in cerebral tissue oxygen saturation were detected especially at 5th and 10th minutes, in Group D, while cerebral oxygenation level did not decrease in Group P. Though, statistically significant difference was determined between two groups in terms of cerebral oxygen saturation, the obtained data was not interpreted as cerebral desaturation. Conclusion: As a conclusion, there was a statistically significant but clinically insignificant decrease in cerebral tissue oxygen saturation in dexmedetomidine group compared to propofol group. Although it does not seem to be important in hemodynamic stabilization, we assume that may cause problems for clinically unstable patients. Purpose: Atrial fibrillation (AF) is the most common arrhythmia treated in the world. While medical treatment with antiarrhythmic drugs remains the primary treatment modality, symptomatic refractory AF often requires treatment with a catheter or surgical ablation. One minimally invasive therapy is the Mini-Maze procedure, which utilizes epicardial radiofrequency ablation via a subxiphoid approach to rid the heart of arrhythmogenic atrial foci without a median sternotomy or cardiopulmonary bypass. The goal of this retrospective cohort study was to identify clinical factors associated with metabolic acidosis following the Mini-Maze procedure. Materials and Methods: After Institutional Review Board approval, we studied patients undergoing the Mini-Maze procedure, off-pump coronary artery bypass grafting or patients conventional Cox-Maze on cardiopulmonary bypass. The first base deficit value obtained in the Intensive Care Unit was used as a measure of metabolic acidosis. Using logistic regression with Akaike information criteria, we analyzed preoperative, intraoperative, and postoperative data to determine the factors associated with changes in base deficit. Results: A multivariable model using stepwise selection demonstrated that diabetes mellitus and weight were associated with a decrease in the base deficit by 2.87 mEq/L (95% CI: −5.55-−0.19) and 0.04 mEq/L (95%CI: −0.08, 0.004), respectively. Furthermore, creatinine was associated with a 1.57 mEq/L (95% CI: 0.14, 2.99) increase in the base deficit. Conclusion: The Mini-Maze procedure was not associated with postoperative metabolic acidosis. Instead, nondiabetic patients and patients with higher creatinine were associated with greater base deficits after undergoing cardiac surgery. Background: Currently, there are limited available data for coronary computed tomography angiography (CCTA) in the setting of the risk stratification before noncardiac surgery. The main purpose of this study is to investigate the role of CCTA in cardiac risk stratification before noncardiac surgery. Materials and Methods: Ninety-three patients underwent CCTA in the assessment of cardiac risk before noncardiac surgery. Patients with normal or mildly abnormal CCTA (<50% stenosis) underwent surgery without any further testing (Group 1). Patients with abnormal CCTA (17 patients) (more than 50% stenosis) and nondiagnostic CCTA (5%) underwent either stress myocardial perfusion scintigraphy or conventional coronary angiography, Group 2. Results: Group one consists of 71 patients who went for surgery without any further testing. 59 of 71 (83%) patients had no complications in the postoperative period, 9 patients had noncardiac complications, 1 had a cardiac complication (new onset atrial fibrillation), and 2 patients died in the postoperative period due to noncardiac complications. Group 2 comprises 22 (26%) patients, 16 patients had no postoperative complications, 5 patients had noncardiac complications, and one patient developed postoperative acute heart failure. Conclusions: CCTA is diagnostic in up to 95% in the preoperative setting, and it provides a comprehensive cardiac examination in the risk stratification before intermediate and high-risk noncardiac surgery. Therefore, CCTA may be considered as an alternative test for already established imaging techniques for preoperative cardiac risk stratification before noncardiac surgery. Context: Frequent incidence of early postoperative memory impairment (POMI) after cardiac surgery remains a concern because of associated morbidity, impaired quality of life, and increased health care cost. Aim: To assess the effect of preoperative statin therapy on POMI in patients undergoing off-pump coronary artery bypass (OPCAB) surgery. Setting and Design: Prospective observational study in a tertiary level hospital. Methods: Sixty patients aged 45-65 years undergoing OPCAB surgery were allocated into two groups of 30 each. Group A patients were receiving statin and Group B patients were not receiving statins. All patients underwent memory function assessment preoperatively after admission to hospital and on the 6 th postoperative day using postgraduate institute memory scale. Statistical Analysis: Appropriate tests were applied with SPSS 20 to compare both groups. The value P < 0.05 was considered statistically significant. Multiple regression analysis was performed with confounding factors to determine the effect on memory impairment. Results: Patients in Group A showed significant postoperative deterioration in 6 of the 10 functions and in Group B showed deterioration in 9 of 10 functions tested compared to preoperative scores. Intergroup comparison detected less POMI in Group A compared to Group B and was statistically significant in 8 memory functions. Multiple regression analysis detected statin as an independent factor in preventing memory impairment. Conclusions: Preoperative statin therapy attenuates the early POMI in patients undergoing OPCAB. Future long-term studies will define the efficacy of statin on POMI. Objective: To evaluate the effect of hemofiltration during cardiopulmonary bypass on lactate level in adult patients who underwent cardiac surgery. Design: An observational study. Setting: Prince Sultan cardiac center, Riyadh, Saudi Arabia. Participants: The study included 283 patients classified into two groups: Hemofiltration group (n=138), hemofiltration was done during CPB. Control group (n = 145), patients without hemofiltration. 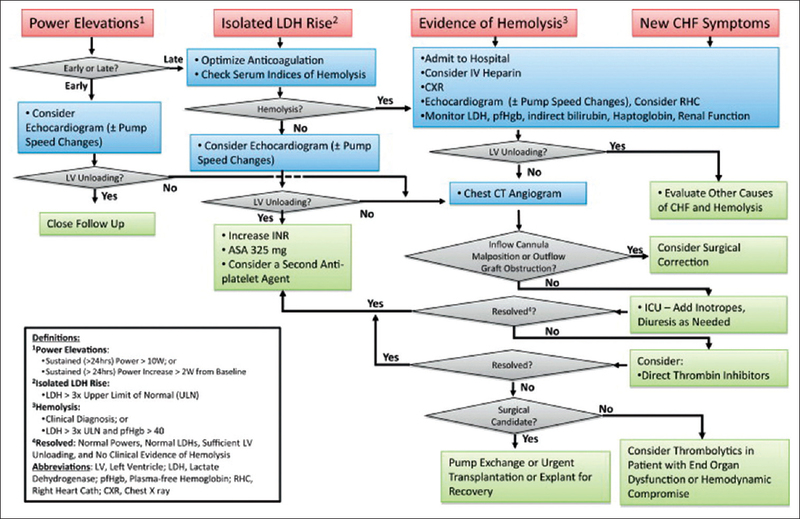 Interventions: Hemofiltration during cardiopulmonary bypass. Measurements and Main Results: Monitors included hematocrit, lactate levels, mixed venous oxygen saturation, amount of fluid removal during hemofiltration and urine output. The lactate elevated in group H than group C (P < 0.05), and the PH showed metabolic acidosis in group H (P < 0.05). The mixed venous oxygen saturation decreased in group H than group C (P < 0.05). The number of transfused packed red blood cells was lower in group H than group C (P < 0.05). The hematocrit was higher in group H than group C (P < 0.05). The urine output was lower in group H than group C (P < 0.05). Conclusions: Hemofiltration during cardiopulmonary bypass leads to hemoconcentration, elevated lactate level and increased inotropic support. There are some recommendations for hemofiltration: First; Hemofiltration should be limited for patients with impaired renal function, positive fluid balance, reduced response to diuretics or prolonged bypass time more than 2 hours. Second; Minimal amount of fluids should be administered to maintain adequate cardiac output and reduction of priming volumes is preferable to maintain controlled hemodilution. Third; it should be done before weaning of or after cardiopulmonary bypass and not during the whole time of cardiopulmonary bypass. Background: Levosimendan a calcium ion sensitizer improves both systolic and diastolic functions. This novel lusitropic drug has predictable antiischemic properties which are mediated via the opening of mitochondrial adenosine triphosphate-sensitive potassium channels. This action of levosimendan is beneficial in cardiac surgical patients as it improves myocardial contractility, decreases systemic vascular resistance (SVR), and increases cardiac index (CI) and is thought to be cardioprotective. We decided to study whether levosimendan has any impact on the outcomes such as the duration of ventilation, the length of Intensive Care Unit (ICU) stay, and the hospital stay when compared with the nitroglycerine (NTG), which is the current standard of care at our center. 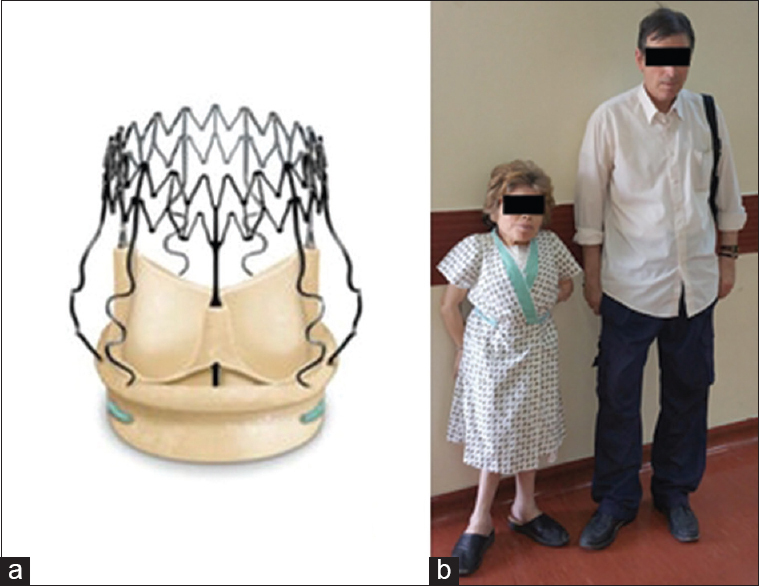 Materials and Methods: Forty-seven patients undergoing elective coronary artery bypass surgery were randomly assigned to two groups receiving either levosimendan or NTG. The medications were started before starting surgery and continued until 24 h in the postoperative period. Baseline hemodynamic parameters were evaluated before beginning of the operation and then postoperatively at 3 different time intervals. N-terminal fragment of pro-brain natriuretic peptide (NT-proBNP) levels were also measured in both groups. Results: In comparison to the NTG group, the duration of ventilation and length of ICU stay were significantly less in levosimendan group (P < 0.05, P = 0.02). NT-proBNP level analysis showed a slow rising pattern in both groups and a statistically significant rise in the levels was observed in NTG group (P = 0.03, P = 0.02) in postoperative period when compared to levosimendan group of patients. Conclusion: Levosimendan treatment in patients undergoing surgical revascularization resulted in improved CI, decreased SVR and lower heart rate. And, thereby the duration of ventilation and length of ICU stay were significantly less in this group of patients when compared with NTG group. Background: Patients with significant bilateral carotid artery stenosis requiring urgent cardiac surgery have an increased risk of stroke and death. The optimal management strategy remains inconclusive, and the available evidence does not support the superiority of one strategy over another. Materials and Methods: A number of noninvasive strategies have been developed for minimizing perioperative stroke including continuous real-time monitoring of cerebral oxygenation with near-infrared spectroscopy (NIRS). The number of patients presenting with this combination (bilateral significant carotid stenosis requiring urgent cardiac surgery) in any single institution will be small and hence there is a lack of large randomized studies. Results: This case series describes our early experience with NIRS in a select group of patients with significant bilateral carotid stenosis undergoing urgent cardiac surgery (n = 8). 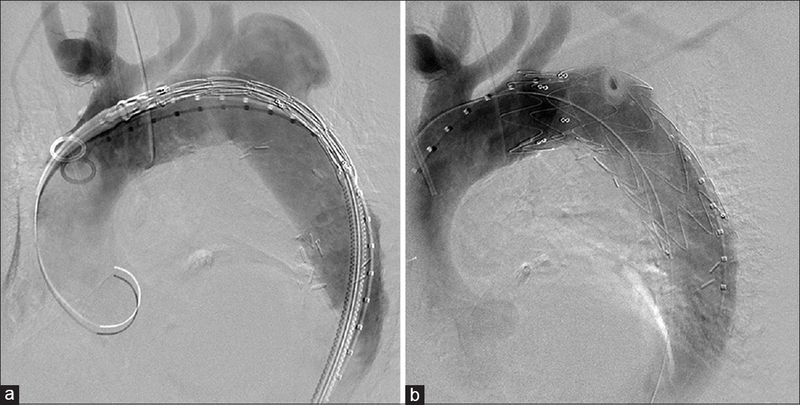 In contrast to other studies, this series is a single surgeon, single center study, where the entire surgery (both distal ends and proximal ends) was performed during single aortic clamp technique, which effectively removes several confounding variables. NIRS monitoring led to the early recognition of decreased cerebral oxygenation, and corrective steps (increased cardiopulmonary bypass flow, increased pCO 2 , etc.,) were taken. Conclusion: The study shows good clinical outcome with the use of NIRS. This is our "work in progress," and we aim to conduct a larger study. Context: Successful arterial cannulation requires wide and patent arterial lumen. A recent study has shown that success rate of radial arterial cannulation at first attempt is more at 45° angle of wrist extension in both young and elderly patients. No study has reasoned whether these high success rates at 45° is because of less compression of the radial artery at this particular angle of wrist extension. Hence, we attempted to study whether the radial artery dimensions changes with increasing angles of wrist extension in young, healthy female volunteers using ultrasound examination. Aim: To investigate the effect of increasing angle of wrist extension of 0, 15, 30, 45, 60, and 75° on radial artery dimensions at the level of the wrist joint using ultrasound examination. Settings and Design: A prospective single blinded study in volunteers. Subjects and Methods: Sonographic measurements of radial artery dimension at the wrist level were performed in 48 young, healthy female subjects. Height (anteroposterior in mm), width (mediolateral in mm) and depth (skin to artery) were measured at wrist extension of 0, 15, 30, 45, 60, and 75°. 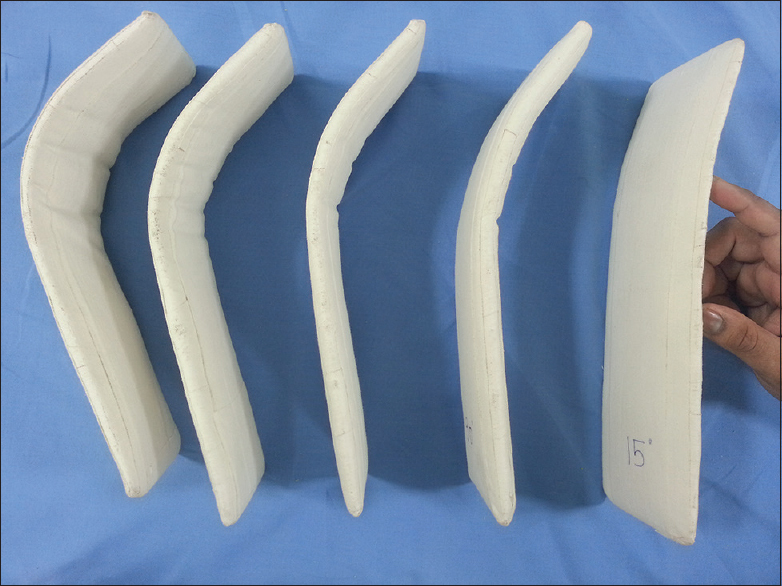 The dimensions at each angle are compared with 0° as the control and statistical analysis done. Statistical Analysis: One-way analysis of variance test. Results: No statistically significant change in dimension of the radial artery is observed with increasing angle of wrist extension. Conclusion: Ultrasound evaluation showed that increasing angle of wrist extension does not significantly change the dimensions of radial artery at the wrist joint level in young healthy female volunteers. Context: We hypothesized that reduced oropharyngolaryngeal stimulation with video laryngoscopes would attenuate hemodynamic response to laryngoscopy and intubation. Aim: Comparison of hemodynamic response to laryngoscopy and intubation with video laryngoscopes and Macintosh (MC) laryngoscope. Setting and Design: Superspecialty tertiary care public hospital; prospective, randomized control study. Methods: Sixty adult patients undergoing elective coronary artery bypass grafting (CABG) were randomly allocated to three groups of 20 each: MC, McGrath (MG), and Truview (TV). Hemodynamic parameters were serially recorded before and after intubation. Laryngoscopic grade, laryngoscopy, and tracheal intubation time, ST segment changes, and intra-/post-operative complications were also recorded and compared between groups. Statistical Analysis: SPSS version 17 was used, and appropriate tests applied. P < 0.05 was considered significant. Results: Heart rate and diastolic arterial pressure increased at 0 and 1 min of intubation in all the three groups (P < 0.05) while mean arterial pressure increased at 0 min in the MG and TV groups and at 1 min in all three groups (P < 0.05). A significant increase in systolic arterial pressure was only observed in TV group at 1 min (P < 0.05). These hemodynamic parameters returned to baseline by 3 min of intubation in all the groups. The intergroup comparisons of all hemodynamic parameters were not significant at any time of observation. 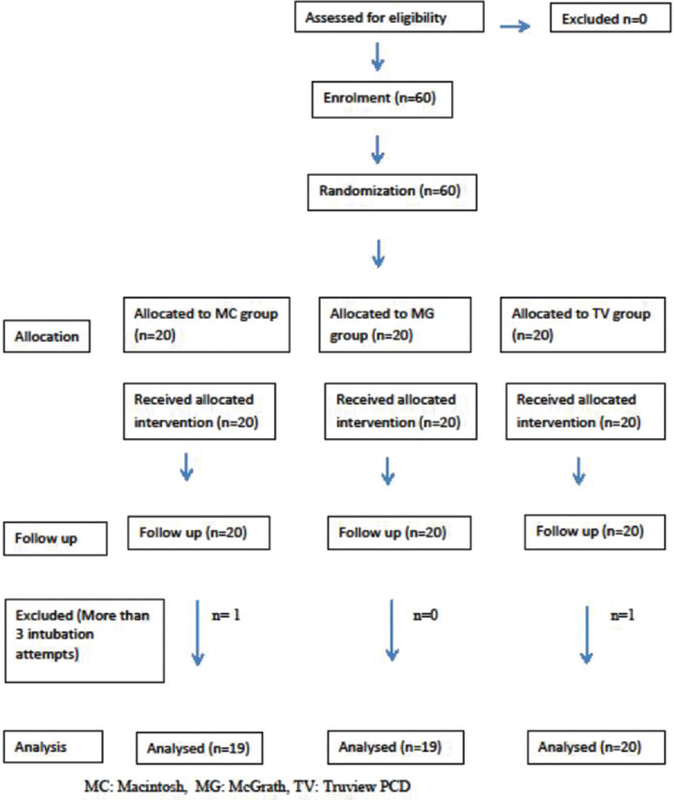 Highest intubation difficulty score was observed with MC (2.16 ± 1.86) as compared with MG (0.55 ± 0.88) and TV (0.42 ± 0.83) groups (P = 0.003 and P = 0.001, respectively). However, duration of laryngoscopy and intubation was significantly less in MC (36.68 ± 16.15 s) as compared with MG (75.25 ± 30.94 s) and TV (60.47 ± 27.45 s) groups (P = 0.000 and 0.003, respectively). Conclusions: Video laryngoscopes did not demonstrate any advantage in terms of hemodynamic response in patients with normal airway undergoing CABG. Objective(s): This study aimed to determine the prevalence of carotid artery stenosis (CAS) due to atherosclerosis in neurologically asymptomatic patients undergoing coronary artery bypass grafting (CABG) for coronary artery disease (CAD). It contemplated a greater role for the cardiac anesthesiologist in the perioperative management of such patients with either previously undiagnosed carotid artery disease or towards re-assessment of severity of CAS. Design: Prospective, observational clinical study. Setting: Operation room of a cardiac surgery centre of a tertiary teaching hospital. Participants: A hundred adult patients with New York Heart Association (NYHA) classification I to III presenting electively for CABG. Interventions: All patients included in this study were subjected to ultrasonic examination by means of acarotid doppler scan to access for presence of CAS just prior to induction of general anesthesia. Measurements and Main Results: Based on parameters measured using carotid doppler, the presence of CAS was defined using standard criteria. The prevalence of CAS was found to be as high as 38% amongst the patients included in our study. The risk factors for CAS were identified to be advanced age, history of smoking, diabetes mellitus, dyslipidaemia and presence of a carotid bruit. Conclusion: This study points towards the relatively wide prevalence of carotid artery disease in neurologically asymptomatic patients undergoing CABG for CAD in the elective setting. It highlights the need to routinely incorporate carotid ultrasonography in the armamentarium of the cardiac anesthesiologist as standard of care for all patients presenting for CABG. Context: Perioperative period. Aims: Occurrence of PPM after AVR, factors associated with PPM, impact on mortality. Settings and Design: Teritary Care Referral Cardiac Centre. Materials and Methods: A retrospective analysis of AVR procedures at a single centre over 4 years was conducted. Demographic, echocardiographic and outcome data were collected from institute database. Rahimtoola criteria of indexed effective orifice area (iEOA) were used to stratify patients into PPM categories. Patients with and without PPM were compared for associated factors. Statistical Analysis Used: Independent t-test, chi-square test, logistic regression analysis, ROC-AUC, Youden index. Results: 606 patients with complete data were analysed for PPM. The incidence of mild, moderate and severe PPM was 6.1% (37), 2.5% (15) and 0.5% (3) respectively. There was no impact of PPM on all-cause in-hospital mortality. PPM was observed more with Aortic Stenosis (AS) compared to Aortic Regurgitation (AR) as etiology. 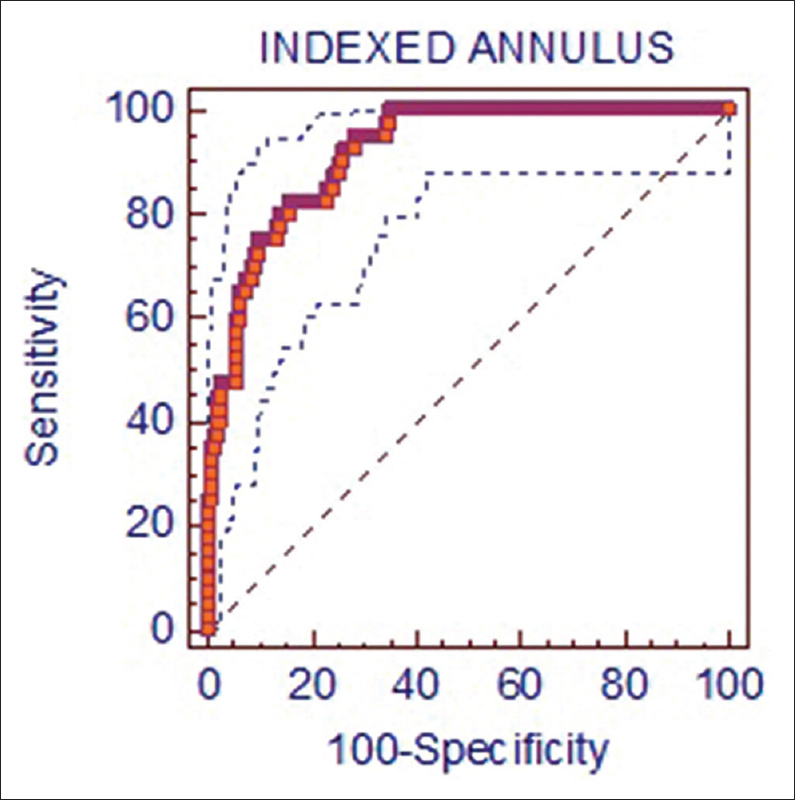 Aortic annulus indexed to BSA (iAA) had a very good predictive ability for PPM at <16mm/m 2 BSA. Conclusions: PPM has lower incidence after AVR in this Indian population and does not increase early mortality. Patients with AS and iAA<16mm/m2BSA should be cautiously dealt with to prevent PPM. Mechanical ventilation remains the cornerstone in the management of severe acute respiratory failure. 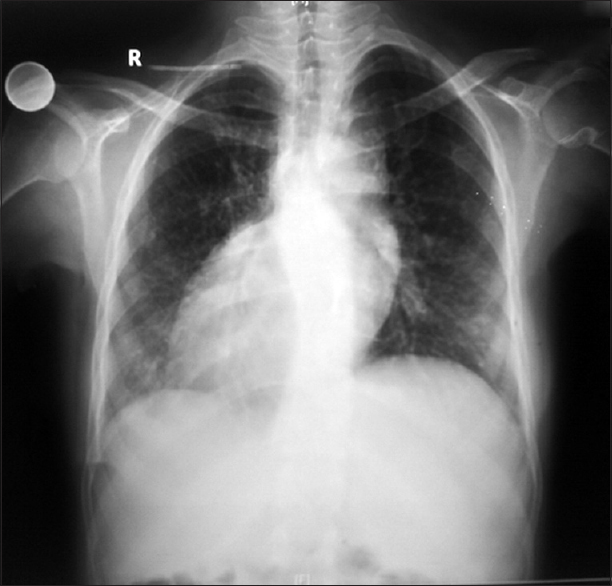 Acute respiratory distress syndrome (ARDS) is the most common cause of respiratory failure. 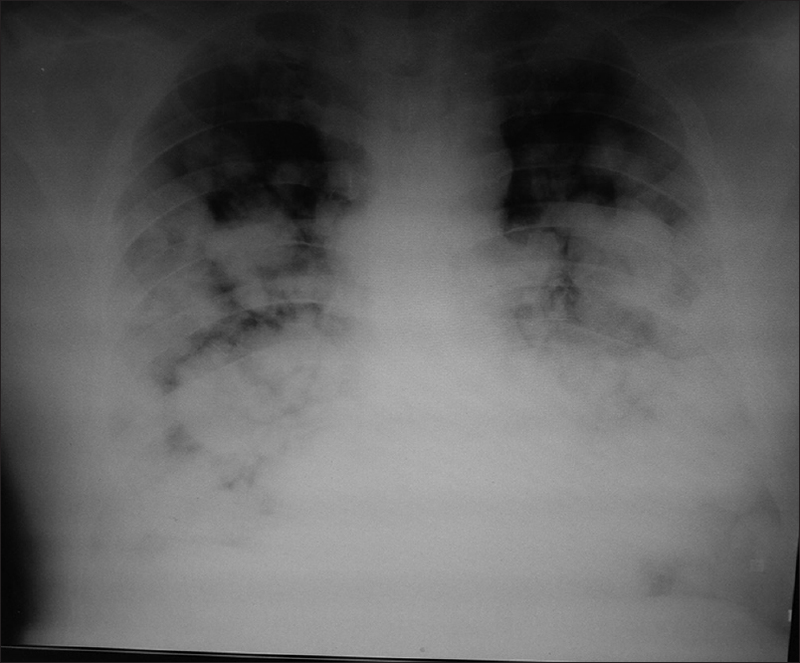 It is associated with substantial mortality, and unmanageable refractory hypoxemia remains the most feared clinical possibility. If hypoxemia persists despite application of lung protective ventilation, additional therapies including inhaled vasodilators, prone positioning, recruitment maneuvers, high-frequency oscillatory ventilation, neuromuscular blockade (NMB), and extracorporeal membrane oxygenation may be needed. 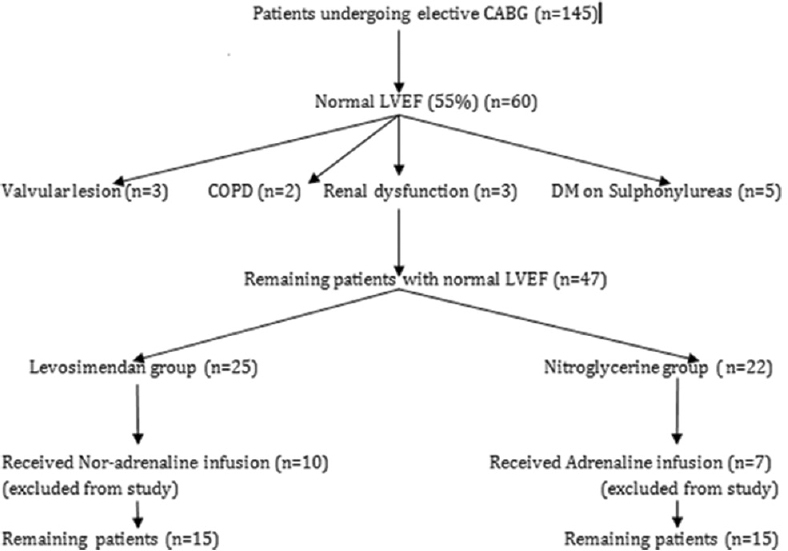 NMB and prone ventilation are modalities that have been clearly linked to reduced mortality in ARDS. Rescue therapies pose a clinical challenge requiring a precarious balance of risks and benefits, as well as, in-depth knowledge of therapeutic limitations. Extracorporeal membrane oxygenation (ECMO) for severe acute respiratory failure was proposed more than 40 years ago. Despite the publication of the ARDSNet study and adoption of lung protective ventilation, the mortality for acute respiratory failure due to acute respiratory distress syndrome has continued to remain high. This technology has evolved over the past couple of decades and has been noted to be safe and successful, especially during the worldwide H1N1 influenza pandemic with good survival rates. The primary indications for ECMO in acute respiratory failure include severe refractory hypoxemic and hypercarbic respiratory failure in spite of maximum lung protective ventilatory support. Various triage criteria have been described and published. Contraindications exist when application of ECMO may be futile or technically impossible. 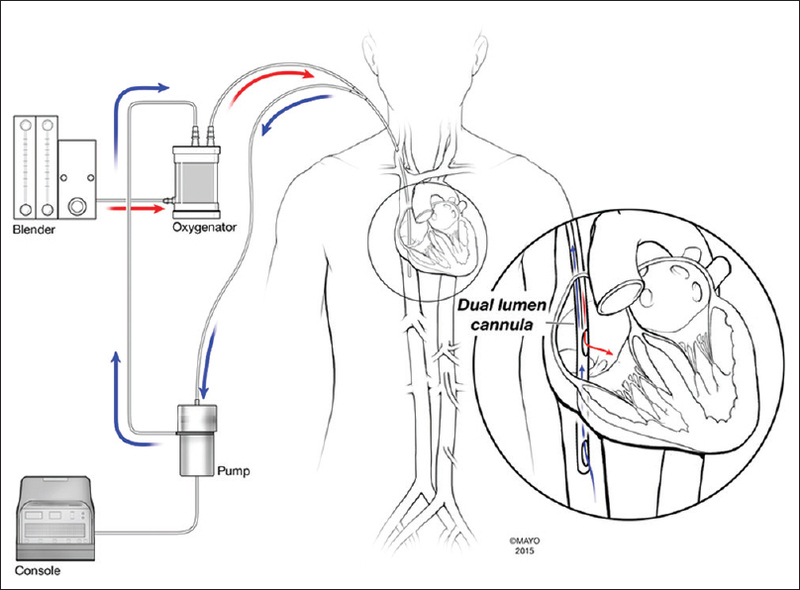 Knowledge and appreciation of the circuit, cannulae, and the physiology of gas exchange with ECMO are necessary to ensure lung rest, efficiency of oxygenation, and ventilation as well as troubleshooting problems. Anticoagulation is a major concern with ECMO, and the evidence is evolving with respect to diagnostic testing and use of anticoagulants. Clinical management of the patient includes comprehensive critical care addressing sedation and neurologic issues, ensuring lung recruitment, diuresis, early enteral nutrition, treatment and surveillance of infections, and multisystem organ support. Newer technology that delinks oxygenation and ventilation by extracorporeal carbon dioxide removal may lead to ultra-lung protective ventilation, avoidance of endotracheal intubation in some situations, and ambulatory therapies as a bridge to lung transplantation. Risks, complications, and long-term outcomes and resources need to be considered and weighed in before widespread application. Ethical challenges are a reality and a multidisciplinary approach that should be adopted for every case in consideration. Newer noninvasive parameters are being used for perioperative detection of myocardial ischaemia. TDI and global strain rate are some of these parameters. TDI signal is a modification of the routine Doppler flow signal. It is obtained by using thresholding and filtering algorithms that reject echoes originating from the blood pool (by-passing the high pass filter). Set-Up of the machine by activating the TDI function allows decreasing the system gain using a low pass filter and eliminates the signal produced by blood flow. Doppler shift obtained from myocardial tissue motion are of higher amplitudes (reflectivity 40 dB higher) and move about 10 times slower than blood (velocity range: 0.06 to 0.24 m/s). Speckle tracking echocardiography (tissue tracking, 2D strain) utilizes routine gray-scale 2D echo images to calculate myocardial strain. Interactions of ultrasound with myocardium result in reflection and scattering. These interactions generate a finely gray-shaded, speckled pattern (acoustic marker). This speckled pattern is unique for each myocardial region and relatively stable throughout the cardiac cycle. Spatial and temporal image processing of acoustic speckles in both 2D and 3D allows for the calculation of myocardial velocity, strain, and Strain rate. As the number of percutaneous coronary interventions increase annually, patients with intracoronary stents (ICS) who present for noncardiac surgery (NCS) are also on the rise. ICS is associated with stent thrombosis (STH) and requires mandatory antiplatelet therapy to prevent major adverse cardiac events. The risks of bleeding and ischemia remain significant and the management of these patients, especially in the initial year of ICS is challenging. The American College of Cardiologists guidelines on the management of patients with ICS recommend dual antiplatelet therapy (DAT) for minimal 14 days after balloon angioplasty, 30 days for bare metal stents, and 365 days for drug-eluting stents. Postponement of elective surgery is advocated during this period, but guidelines concerning emergency NCS are ambiguous. The risk of STH and surgical bleeding needs to be assessed carefully and many factors which are implicated in STH, apart from the type of stent and the duration of DAT, need to be considered when decision to discontinue DAT is made. DAT management should be a multidisciplinary exercise and bridging therapy with shorter acting intravenous antiplatelet drugs should be contemplated whenever possible. Well conducted clinical trials are needed to establish guidelines as regards to the appropriate tests for platelet function monitoring in patients undergoing NCS while on DAT. Aneurysm is defined as a localized and permanent dilatation with an increase in normal diameter by more than 50%. It is more common in males and can affect up to 8% of elderly men. Smoking is the greatest risk factor for abdominal aortic aneurysm (AAA) and other risk factors include hypertension, hyperlipidemia, family history of aneurysms, inflammatory vasculitis, and trauma. Endovascular Aneurysm Repair [EVAR] is a common procedure performed for AAA, because of its minimal invasiveness as compared with open surgical repair. Patients undergoing EVAR have a greater incidence of major co-morbidities and should undergo comprehensive preoperative assessment and optimization within the multidisciplinary settings. In majority of cases, EVAR is extremely well-tolerated. 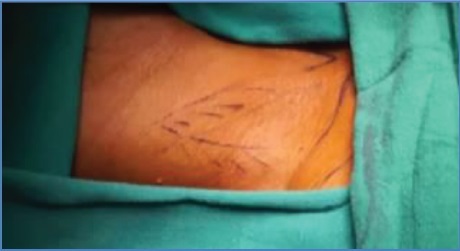 The aim of this article is to outline the Anesthetic considerations related to EVAR. We would like to present an interesting case operated on in our department and discuss the international bibliography about this issue. We also present some interesting images of this case. Our material is composed from a 68-year-old woman treated by the authors. She presented with a small murmur in the auscultation while she was asymptomatic and then she diagnosed with a tumor on of the left coronary cusp of the aortic valve with the characteristics of papillary fibroelastoma. On the basis of the potential embolic risk either of the mass itself or of associated thrombus and the possibility of further enlargement, the patient although asymptomatic at the time of diagnosis was referred for elective surgical excision of the mass. She underwent on median sternotomy and through extracorporeal circulation the mass has been excised with the preservation of the well-functioning valve. Through this case, we would like to discuss the bibliography for the decision making in these cases. Hence, the aim of our study is that we have to keep in mind that this kind of friable mass may be the cause of embolism, stroke or coronary artery occlusion and must be excided in a conservative setting, sparing the aortic valve. Despite cardiovascular disease in patients with dwarfism is not rare; there is a lack of reports referring to cardiac interventions in such patients. Dwarfism may be due to achondroplasia or hormonal growth disorders. 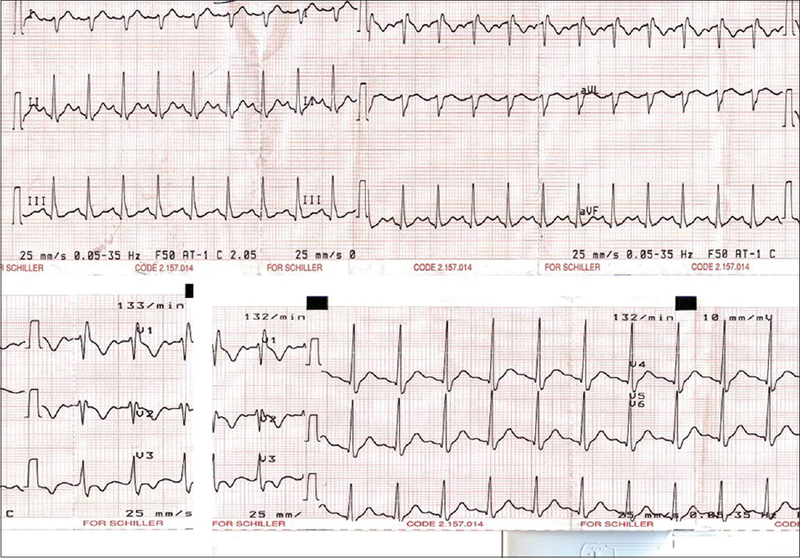 We present a 58-year-old woman with episodes of dyspnea for several months. She underwent on transthoracic echocardiography, and she diagnosed with severe aortic valve stenosis. She referred to our department for surgical treatment of this finding. In accordance of her anthropometric characteristics and her very small aortic annulus, we had the dilemma of prosthesis selection. We decided to implant a stentless valve to optimize her effective orifice area. Our aim is to present the successful Perceval S valve implantation and the descriptions of the problems coming across in operating on these special patients. To our knowledge, this is the first case patient in which a Perceval S valve is implanted according to the international bibliography. 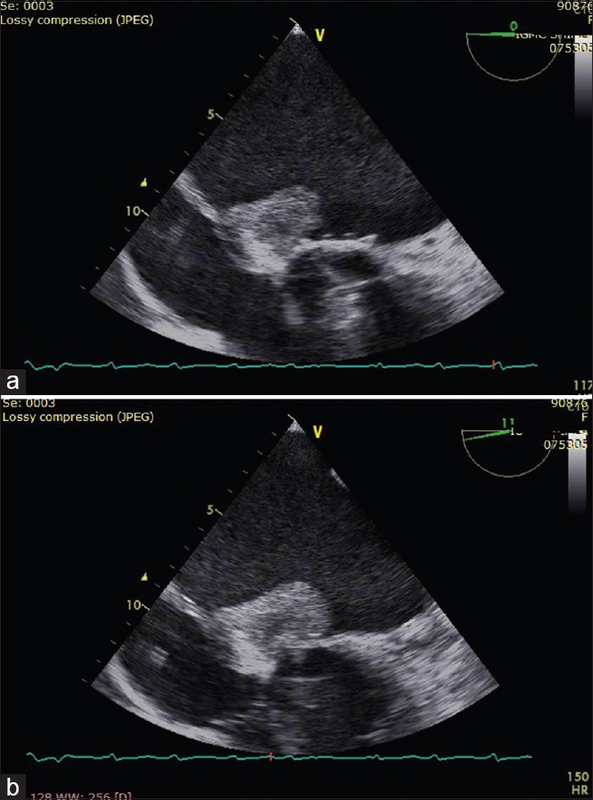 Free wall rupture of the left ventricle (LV) is a rare but life-threatening complication of acute myocardial infaction. 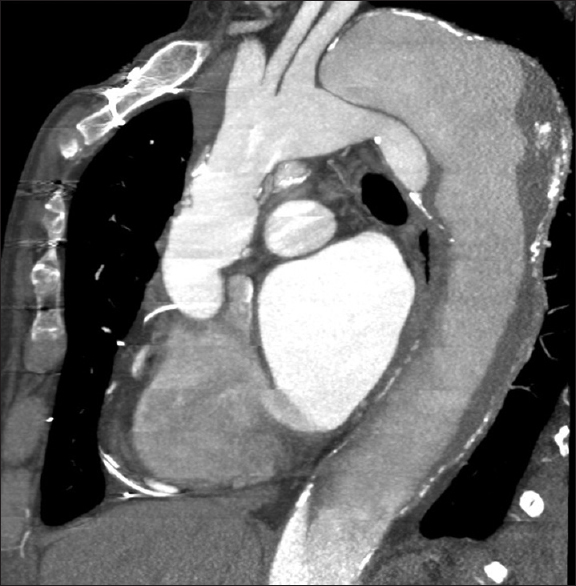 Very rarely such rupture may be contained by the adhering pericardium creating a pseudoaneurysm. This condition warrants for an emergency surgery. Left ventricular aneurysm is the discrete thinning of the ventricular wall (<5 mm) with akinetic or dyskinetic wall motion causing an out-pouching of the ventricle. Given the propensity for pseudoaneurysms to rupture leading to cardiac tamponade, shock, and death, compared with a more benign natural history for true aneurysms, accurate diagnosis of these conditions is important. True aneurysm, usually, calls for an elective surgery. Clinically differentiating the two conditions remains a challenge. We report the case of a patient with LV pseudoaneurysm, initially diagnosed as true aneurysm at our institution. 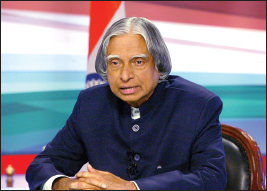 We have attempted to review the existing literature and discussed the characteristic findings of each entity. Fontan's circulation is a unique challenge for the anesthesiologist. Venous pressure is the only source of blood flow for the pulmonary circulation. Patients with such circulation are extremely sensitive to progression of cyanosis (decreased pulmonary blood flow) or circulatory failure. Any major venous compression can compromise the pulmonary blood flow worsening cyanosis; simultaneously, an increased afterload can precipitate circulatory failure. 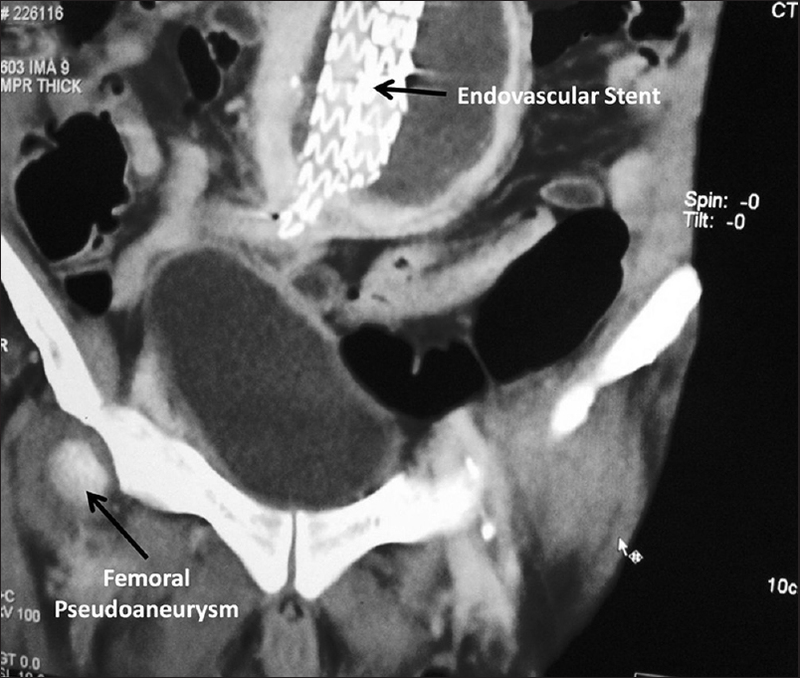 We present a rare patient of surgically corrected Ivemark syndrome with Fontan's physiology with dextrocardia who developed a large uterine fibroid compressing inferior vena cava (IVC). As a result of compression, not only the pulmonary circulation was compromised but she also developed stasis-induced venous thrombosis in the lower limbs that lead to pulmonary embolism (PE) (increased afterload). 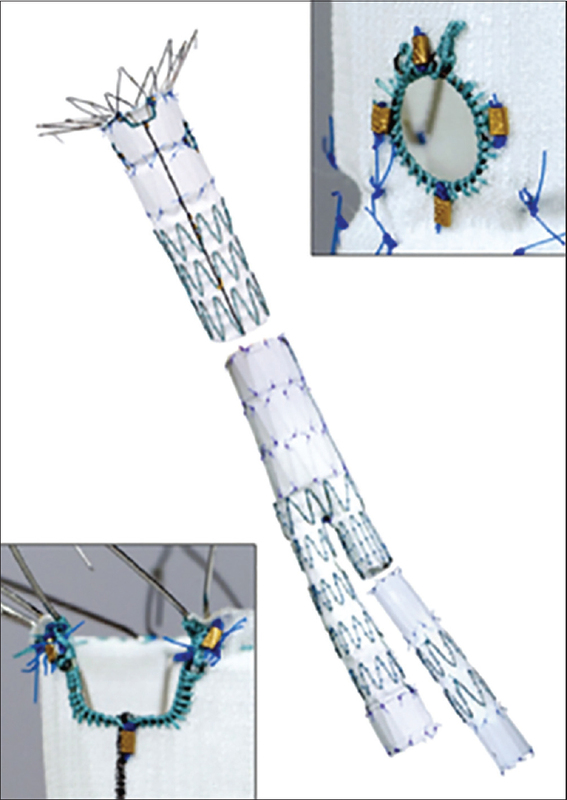 In addition to oral anticoagulation an IVC filter was inserted to prevent ongoing recurrent PE. Further, to prevent both circulatory compromise and deep venous thrombosis an urgent myomectomy/hysterectomy was planned. In the present case, we discuss the issues involved in the anesthetic management of such patients and highlight the lacunae in the present guidelines for managing perioperative anticoagulation these situations. The Gerbode defect is characterized by a perimembranous ventricular septal defect between the left ventricle and the right atrium. 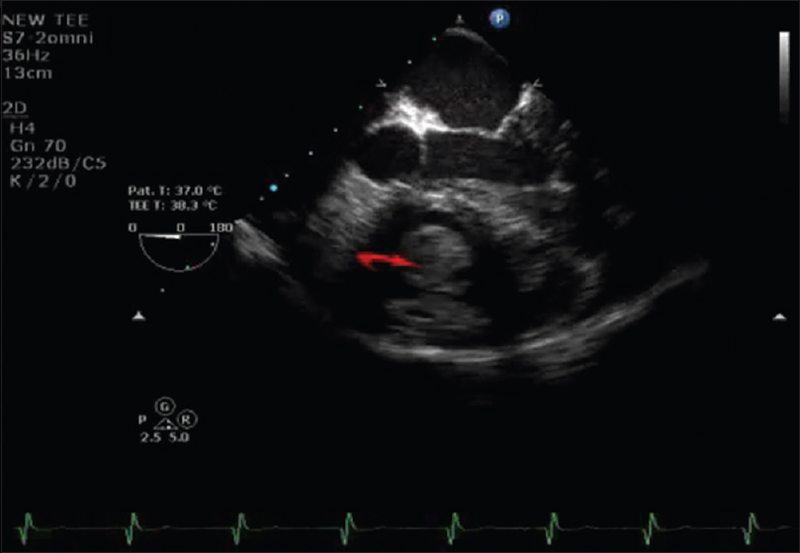 This intracardiac shunt is a congenital defect but may be iatrogenic after valve surgery or atrioventricular node ablation, may be the result of endocarditis or may be traumatic. It is really rarely encountered as sequelae of non-penetrating heart trauma, and their clinical manifestations may often be unrecognized in the multi-injured patient. However, they are serious complications, and their diagnostic approach is not always feasible. We hereby present a case of a young man with the left ventricle to the right atrium communication after blunt thoracic trauma due to a car accident and concomitant rupture of the thoracic aorta. We present also the case and the ways of treatment according to the international bibliography. We hereby report a child with transposition of great arteries and regressed ventricle who underwent arterial switch operation (ASO) with the aid of cardiopulmonary bypass and "integrated" extracorporeal membrane oxygenation (ECMO) circuit. The significance of lactate clearance as a guide to initiate and terminate veno-arterial ECMO in a post ASO child with regressed left ventricle is discussed. A growing number of patients are undergoing prolonged management of advanced heart failure with the use of continuous flow left ventricular assist devices (LVADs). Subsequently, an increasing number of patients are presenting with complications associated with these devices. Based on an analysis of three major LVAD institutions, the number of patients developing LVAD pump thrombosis may be much higher than originally projected. , The management of this highly feared complication continues to be challenging, as the population of LVAD patients is very heterogeneous and heavily burdened with comorbidities. The standard protocol of increasing anticoagulation may fail to achieve successful resolution of thrombus. Difficulty and poor prognosis may make reoperation less than desirable. Here, we present a case of successful thrombolysis following intravenous administration of tissue plasminogen activator in the Intensive Care Unit setting. 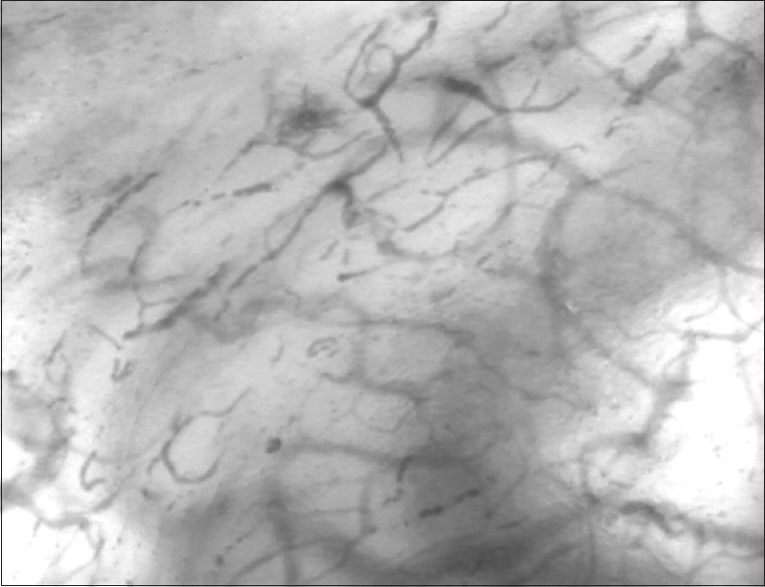 Sidestream dark field (SDF) imaging allows direct visualization of microvascular architecture and function. We examine the role of an SDF imaging device in visualizing the sub-lingual microvasculature as a surrogate for splanchnic microperfusion. We demonstrate good correlation between current monitoring techniques and the SDF imaging device in a rare case of vancomycin-resistant enterococcal (VRE) sepsis along with heparin-induced thrombocytopenia (HIT). To the best of our knowledge, VRE endocarditis with concurrent HIT has not been described in literature. The role of SDF imaging may predict the earlier need for escalation of care, improving morbidity and mortality. Many years following transplantation, heart transplant recipients may require noncardiac major surgeries. Anesthesia in such patients may be challenging due to physiological and pharmacological problems regarding allograft denervation and difficult immunosuppressive management. Massive hemorrhage, hypoperfusion, renal, respiratory failure, and infections are some of the most frequent complications related to thoracic aorta aneurysm repair. Understanding how to optimize hemodynamic and infectious risks may have a substantial impact on the outcome. 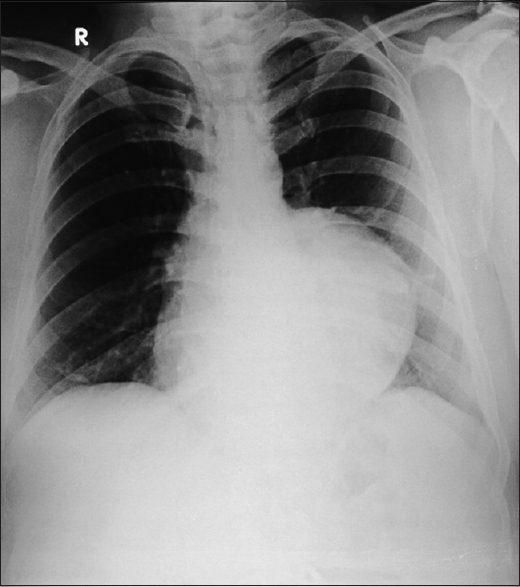 This case report aims at discussing risk stratification and anesthetic management of a 54-year-old heart transplant female recipient, affected by Marfan syndrome, undergoing thoracic aorta aneurysm repair.